A twist on the traditional, this preserved lemon hummus uses cashew butter in place of tahini and the savory salted lemony taste of preserved lemons! Talk about YUM! 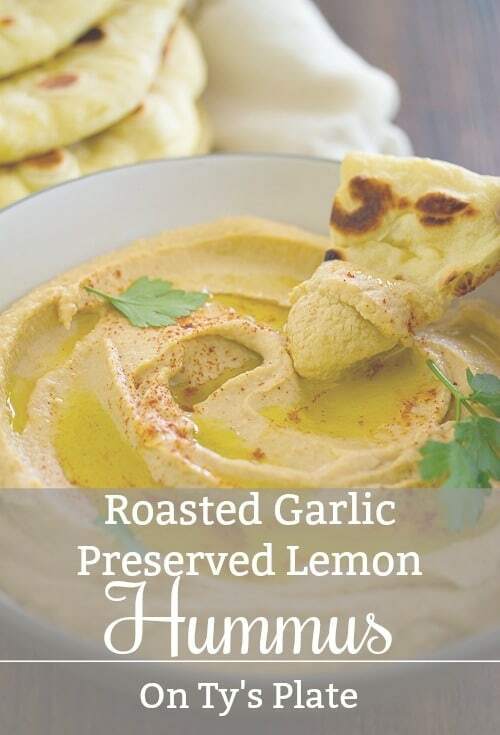 That’s just what this roasted garlic preserved lemon hummus is all about. If you’ve never heard of or tried them, preserved lemons are and taste just like the name prescribes–lemons that are preserved in a liquid brine. So, pickled lemons. So most basically it’s just salt and water for an extended period of time. Some recipes use olive oil or sunflower oil in addition to the salt. They are used in a lot of North African dishes. I personally discovered then while watching the cooking show Farmhouse Rules a few years ago. I believe Nancy made some sort of salad with preserved lemon dressing. It sounded fantastic. The only problem was that I had no idea where to buy them. Serendipitously, Trader Joe’s started selling it not long after. Fast forward a little ways ahead and I’m playing around with hummus recipes because my infant loves it, I try the lemons in a batch and this star recipe is born. It became a staple in our family and then what should happen? 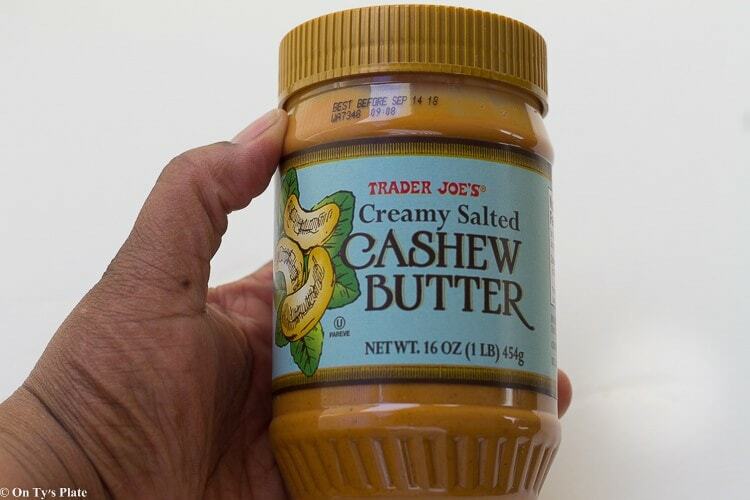 Trader Joe’s stops selling it in my area. Being the resourceful person that I am, I searched high and low until I found a store that sold Morrocon foods and was able to secure a jar. Yay! But that experience has challenged me to, you know it, preserve my own lemons. Be on the lookout for the tutorial this summer. Besides the lemons, this recipe is a twist on traditional hummus in that it also calls for cashew butter in place of tahini. But you can absolutely use tahini instead. We love it both ways equally. Add all of the ingredients to a blender and pulse until smooth. You may choose to add more water for a creamier texture or less for a thicker dip. Serve at room temp or cold with a fresh batch of naan! Her is a helpful tutorial on how to roast garlic in the oven.